I had read several rave reviews about Gillian Flynn’s first two novels Dark Places and Sharp Objects and I was intrigued. 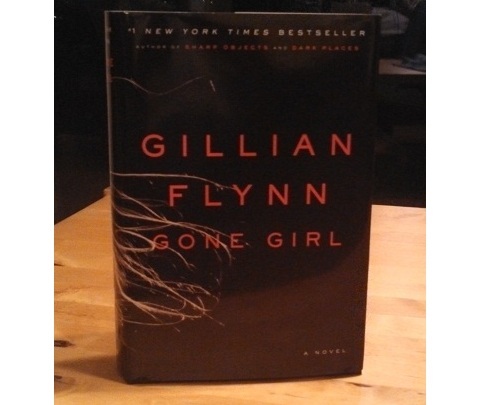 I read her third novel Gone Girl this past weekend and it was brilliant! I immediately ordered the first two novels and hope they arrive soon. Wife Disappears. Husband Becomes Prime Suspect. Nick’s wife Amy disappears without a trace on their fifth wedding anniversary. Their living room is turned upside down and Nick quickly becomes the prime suspect. (Isn’t the husband usually the perpetrator?) As time passes by more and more evidence point at Nick but he claims that he is innocent. Gone Girl is a phenomenal psychological thriller! The truth turns out to be even more creepy and twisted than you could ever imagine. The novel is written in a very skillful way and it is impossible to predict the plot. Wow!